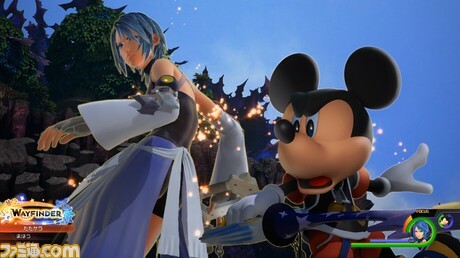 News ► KINGDOM HEARTS HD 2.8 FCP to be featured in 12/29 issue of Weekly Famitsu! KINGDOM HEARTS HD 2.8 Final Chapter Prologue will be featured in the 12/29 issue of Weekly Famitsu releasing on December 15th 2016! This coming issue will reveal new details about the gameplay systems in KINGDOM HEARTS 0.2 Birth By Sleep -A fragmentary passage-, the new Dream Eaters in KINGDOM HEARTS Dream Drop Distance HD, and give us new details and renders for Luxu and Ephemer from KINGDOM HEARTS χ Back Cover. For now, enjoy three brand new screenshots from the latest KINGDOM HEARTS HD collection releasing next year on January 12th in Japan and January 24th in North America and Europe. Thanks to forum user kostas for the tip! Well the Japanese name is read as "Ephemera" so how would anybody have known it was Ephemer? So when do Luxu and the Master of Masters do a Magic Mike and show us what's underneath the cloaks? So beautiful! I cannot wait. Now then, excuse me while I start chanting "Booray" in my room. Me too. I'm really digging how well the Kingdom Shader and Unreal Engine 4 blend together in KHx BC. Is no one going to mention the oddity that is his majesty's oral cavity? It just looks off to me. I'll have to get used to it I guess. But yeah can't wait for Ephemera !! 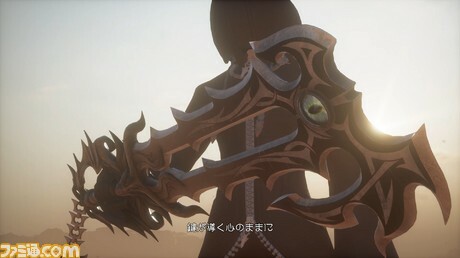 (still not used to Ephemer :/) And I'm looking forward to compare the Master of Masters and Luxu renders. I can't wait to see our precious dandelion child! so it surpose to come out tomorrow since japan a day ahead of us am i right? Besides the beautiful cinematography in that shot of Luxu, can we all talk about the Dapper Reaper Elephant on a skateboard? 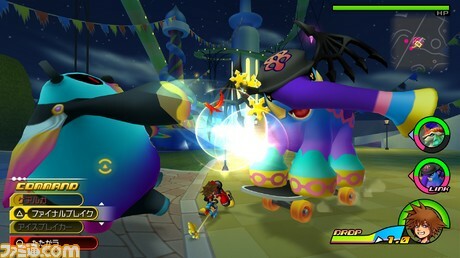 I'm still waiting for them to add other KH characters as recruitable Dream Eaters, kinda like what FFX-2/FFXIII-2 did with the monster system. But yeah, Skateboarding Elephant is adorbs and seeing as how in endgame I used an adorbs Lion and Elephant, I'll probs try to bring Sk8er Boi to endgame with me and whatever new Lion variant may be available. Would it be too much to hope for a Carbuncle Spirit? Pls Square. Justify it as advertising for FFXV. Just put one in.